The Internet seems to be bursting at the seams with Nutella recipes. Folks are mixing the hazelnut spread into everything from ice cream to hot chocolate. As a friend pointed out, the only thing needed for a good Nutella dish is a spoon. It is a product that may be best unencumbered by other ingredients (although you should really try encumbering it with sliced bananas — heavenly). The recipe made the driest cookie dough I’ve ever worked with. You’ll see in the recipe’s comment section that this freaks some people out, since the dough will easily fall apart during handling. The solution: Put on a pair of food-safe gloves and gently roll the dough into 1-inch balls, pressing it together as you go. Instead of using a floured glass to mash the cookies into circles, I simply pressed the balls flat between my palms. 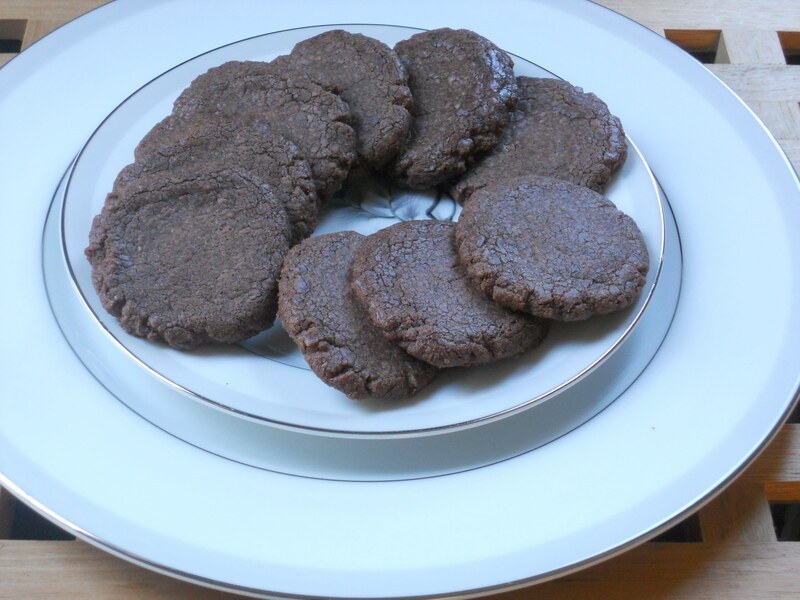 The result: Delicious, melt-in-your-mouth cookies with strong Nutella overtones and just a hint of caramelization. The centers were delightfully underdone and chewy. The drawback, however, is that the cookies only stayed chewy for a few hours. The next day, they were crunchy all the way through. Good if you want to dunk them in a glass of milk, I suppose, but not what you’re looking for if chewy is your thing. And chewy is, most definitely, my thing. I love the chewy too! Although I won’t balk at the dunking them in milk either! I’ve been eyeing that recipe on pinterest too. Thanks for the review!